According to the Denverite, those who spent at least $25,000 to defeat the measure believe there will be numerous unintended consequences. One of their leaders is encouraging developers to get their plans in before the first of the year if possible. An assistant professor in the University of Colorado Denver’s College of Architecture and Planning, Leila Tolderlund, believes there is nothing to fear. According to the Denverite, Tolderlund is an expert on green roofs and is the author of the EPA’s design guidelines and maintenance manual for green roofs in the semi-arid and arid West. According to Tolderlund, green roofs are more expensive to build than conventional roofs, but they tend to last four to five years longer. 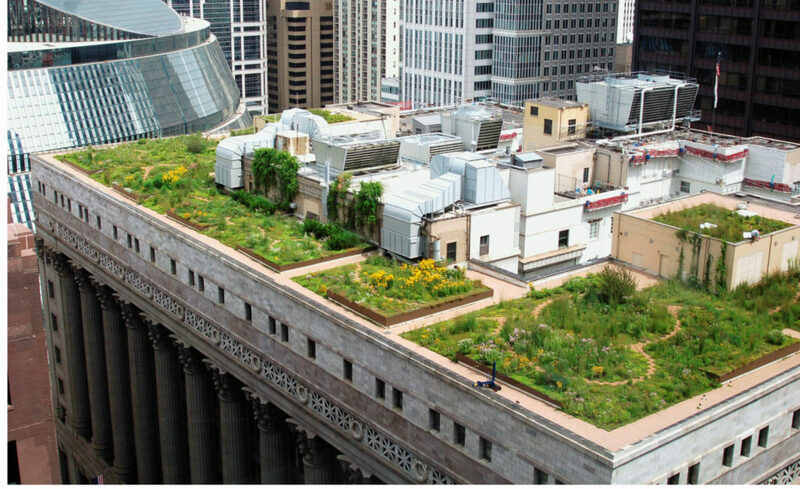 Depending on the type of green roof that’s installed and the complexity, costs can range. Tolderlund states that business owners realize more benefits when they have deeper soil beds that support a wider variety of plant life. This extra soil and plant life, she says, does more to insulate the building and protect the roof membrane from the elements. Tolderlund also noted that it adds weight, which requires additional structural support and cost, but the ordinance does not require developers to make that additional investment. Over the next several months, the Denverite reports that the department will work to create the necessary procedures and policies. The initiative itself, the Denverite says, requires the creation of a technical advisory board to guide implementation. If certain things aren’t working, the Denver City Council said it could change the ordinance with a two-thirds majority after six months have passed. “Green roofs were already possible in Denver, and we will be working in the coming weeks to harmonize existing laws and policies with Initiative 300 and to build its requirements into our permitting and contractor licensing procedures,” CPD deputy director Jill Jennings Golich said in an emailed statement to the Denverite. Barstnar says that because of Denver’s arid climate, their experience will not be the same as it has been in other cities, but Tolderlund says that there are success stories of green roofs in Denver, Nevada and Arizona.